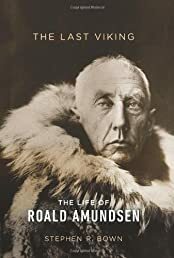 Stephen R. Bown has unearthed archival material to give Amundsen’s life the grim immediacy of Apsley Cherry-Garrard’s The Worst Journey in the World, the exciting detail of The Endurance, and the suspense of a Jon Krakauer tale. The Last Viking is both a thrilling literary biography and a cracking good story. The Secret Race: Inside the Hidden World of the Tour de France: Doping, Cover-ups, and Winning at All ..